My wife Rehana Yasmin has difficulty in getting passport for our two sons Danyal Ahmad and Emmad Khan. In fact i visited Pakistan and got stuck in the crisis ignited by reliogous extremists in Malakand Division NWFP of Pakistan. 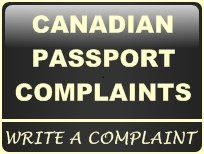 I request the kitchner Passport authorities to tell my wife exactly what I have to do so that my two sons are issued Canadian Passport. i cannot come to Canada at this time please and my wife is not so educated to process the case.